At Mister Worker you will find many Gierre special offers: from home ladders to mobile towers, from work trolleys to rolling scaffolds, our team of specialists has chosen only the best of the 2018 Gierre catalog. To ensure maximum safety for individuals and professionals, Mister Worker has decided to select the best aluminum ladders and the most secure scaffolding and to offer it at a special price. Let's see some examples of Gierre products on offer. 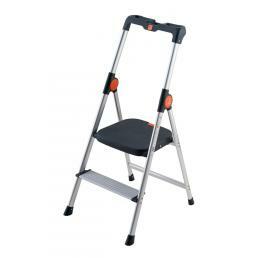 The Gierre Peppina scale, except the brand's most sold, is a multi-function steel telescopic ladder, available in various sizes: 4 + 4 or 5 + 5, allowing to reach different working heights. 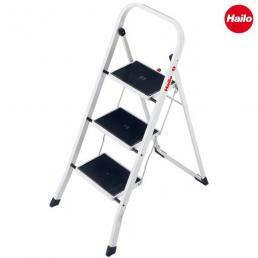 It can be used as a double staircase, lame (in the presence of a difference in height) or completely elongated. 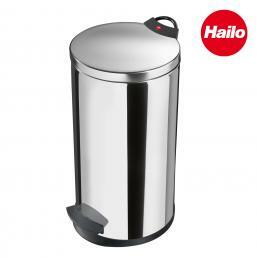 It has a strong, patented steel joint with an easy-to-grip handle. 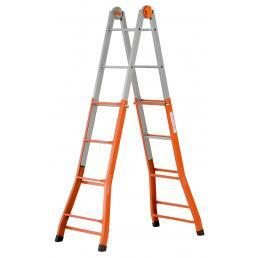 The opening and closing safety system is semi-automatic and allows you to open and close the ladder easily and safely. The anti-slip feet are knurled and allow maximum adherence to the ground, guaranteeing complete safety. 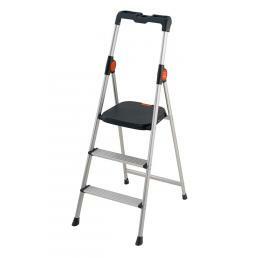 The steel structure is solid and the flaring at the base allows great stability during use. It is a manual trolley with steel structure and tipper: the pneumatic wheels have steel rims, non-slip rubber grips and wheel guards, to prevent damage during use. In addition, the wheels have comfortable clips to assemble and disassemble them quickly. 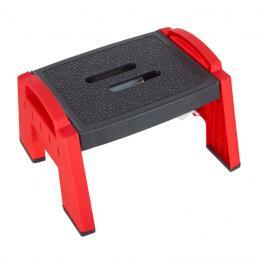 It is a professional tool suitable for those who daily have to move packages and weights of different sizes. The Clip Rapido 100 is a professional aluminum scaffolding, easy and quick to mount, thanks to the rapid expansion coupling system at the end of each tie-rod, with a safety hook fixed to the upright. The floor is made of Eurodeck wood, supported by a secure and resistant shaped tubular aluminum structure. The wheels, supplied in the assembly kit, make it easy to move the scaffold and the stabilizer bar on the same side of the wheels gives greater stability. During use, two parapets and three tie-rods help to ensure maximum safety. 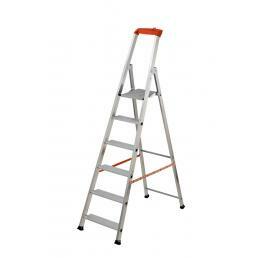 Scalamia is a home-made aluminum ladder, available in 3 to 8 steps. 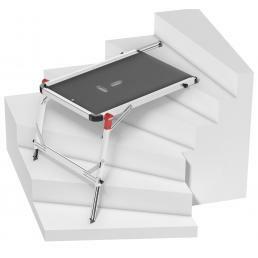 The structure is in aluminum and has back reinforcements to guarantee greater security; the platform is made of steel, with an anti-opening lock, formed by two ropes that give greater stability together with the anti-slip feet. The 81 mm knurled steps allow maximum balance and perfect stability during use, as well as having a special anti-cut cover. Do not miss Gierre offers: only by Mister Worker you can find the best professional ladders and scaffolding at a special price! If you want more details about Gierre products on offer, do not hesitate to call us at +39 02 9143 3257 or send us an email to [email protected]: our team of experts will give you a hand during the purchase.